We continue to acquaint our readers with printer reviews worth of note. What fell victim of an inquiring reviewer’s mind today? It’s Epson Stylus Photo RX595 all-in-one photo printer. Claire Strodtbeck at TheGadgeteer.com gave the printer a hard time examining it. This examination resulted in one of the most in-depth reviews we’ve ever came across. Among other thing, she mentions that printer package does contains a CD with drivers (a rare sight, according to Clair) and does not include a USB cable (an awfully common sight, as we all know.) Good thing is, there is an extra set of high-capacity ink cartridges included. Next come technical specifications, that is what the printer can do. 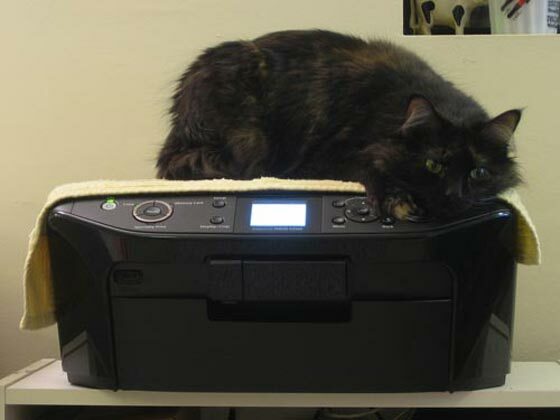 From them we gather that the device can print (on paper and discs), copy (without a computer), scan and room a cat. Yes, room a cat, if you place a dish-towel onto printer. But the vary interesting of the details (these are what we need the most, right?) on getting the printer ready, how it performed in printing, copying and scanning, and additional information on printers’ special functions you will learn from the vary Epson Stylus Photo RX595 review. This entry was posted on Wednesday, April 9th, 2008 at 5:45 am	and is filed under Epson, inkjet, multifunction, review. 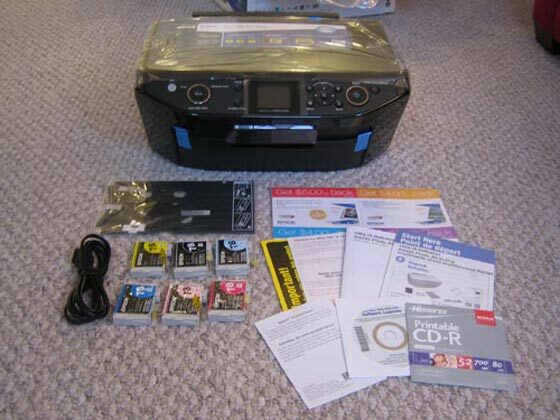 "Xerox Phaser 6125 Laser Color Printer. UK only."